Peter Roan along with his wife, Toni# own and operate Roan Financial Pty Ltd based at Orange. Roan Financial Pty Ltd* is a Corporate Authorised Representative of Roan Financial Group Pty Ltd. Roan Financial Pty Ltd is an FPA Professional Practice of the Financial Planning Association of Australia (FPA). Roan Financial Group holds an Australian Financial Services Licence and a Australian Credit Licence. Peter is a CERTIFIED FINANCIAL PLANNER practitioner with over twenty five year’s experience in the financial services industry including management roles. For further details, please refer to Peter's Financial Services Guide (FSG) and Adviser Profile. Peter is a recipient of Association of Taxation and Management Accountants (ATMA) Fellow. Peter holds a Public Practice Certificate with Association of Taxation and Management Accountants (ATMA). Peter was also part of the Judging Panel responsible for assessing financial plans in the 2003 Australian Consumers Association (Choice) and Australian Securities and Investment Commission (ASIC) Survey on financial planning. 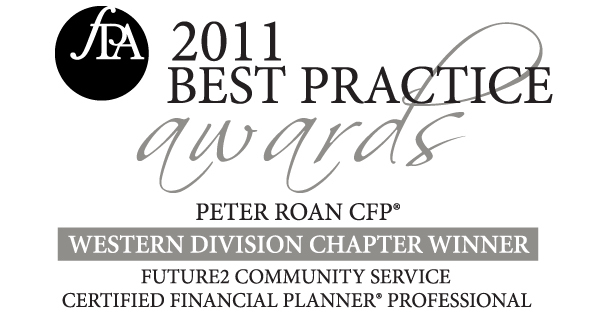 Peter has also acted as a CFP Assessor for the Financial Planning Association. Peter also presented at the "Parliamentary Joint Committee on Corporations and Financial Services Property Investment Advice Safe as Houses?" Peter is also the financial planning representative for the Financial Ombudsman Service Panel. He is currently serving a second term in this position. Secretary of Financial Planning Association of Australia (FPA) - Western Division (NSW) since Year 2000 and currently in her eleventh year in this position. Recipient of Financial Planning Association of Australia National Distinguished Service Award 2007. At Roan Financial, we employ local people. We pride ourselves in attracting friendly and professional staff. We are all here to help you achieve your best result and reach your financial and lifestyle goals. CFP®, CERTIFIED FINANCIAL PLANNER® and are certification marks owned outside the U.S. by the Financial Planning Standards Board Ltd. Financial Planning Association of Australia Limited is the marks licensing authority for the CFP Marks in Australia, through agreement with FPSB. The LRS® mark and Life Risk Specialist designation is owned by the Financial Planning Association of Australia Ltd. The AEPS® mark and Accredited Estate Planning Strategist is owned by the Financial Planning Associaton of Australia Ltd.
SMSF SPECIALIST ADVISORTM and SSATM are marks owned by the SMSF Association (formerly SPAA) and are awarded to individuals who successfully comply with all the initial ongoing accreditation requirements of the SMSF Association Professional Standards Committee.